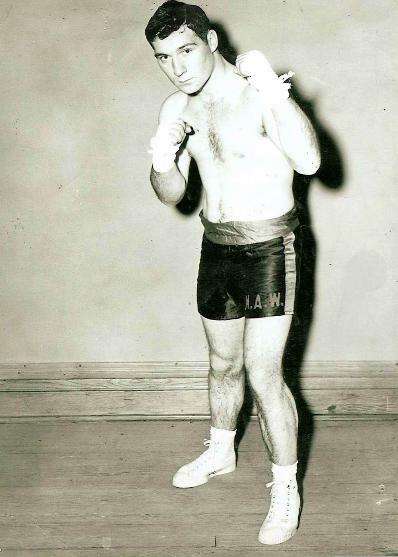 Lansing District Golden Gloves Champion – 1955, 1956. State Light Heavyweight Champion – 1955. Michigan Outstanding Boxer of the YearAward – 1955.
five round bout in the amateur ranks. “Clinton County Boys Club” Head Boxing Coach – 1957-1978. Boxing Judge & Timekeeper – 1979-1992. Coached two boys who boxed Olympic Gold Medal Winners. Attended 24 National Amateur Boxing Tournaments. Retired after a 43 year span with Golden Gloves Boxing.